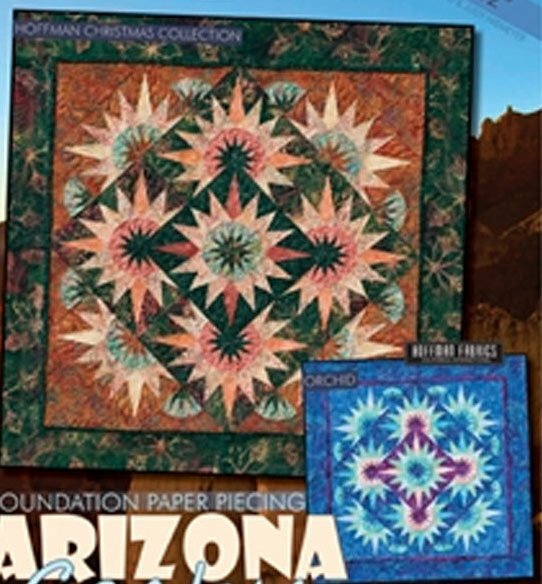 A great project for someone new to paper piecing, it includes enough papers to make two table toppers and also covers many of Judy’s basic paper piecing techniques without involving a significant number of blocks. If you are looking for a project you can pull together in the weekend and have a great time choosing colors, this is for you! The size of a finished Table Topper is 42" x 42".